Sometimes the most engaging pictures just happen with no real forward planning, but rather a spontaneous reaction to a fresh canvas that just presents itself. This staged shot in a ghost town in Montana was one such occasion. We had finished filming on a cold January morning and retreated to the only working premises in the deserted town to get warm and have a drink. Our refuge met every preconception of what a timeless wild west American inn should look like – a long wooden bar, wagon wheels on the ceiling, faded black and white photographs of the glory years, the odd moose head and of course a pool table. My cameras were packed away, but I saw an opportunity. There was just enough light in the room to work an image that told a story of tough folk living at the last frontier. 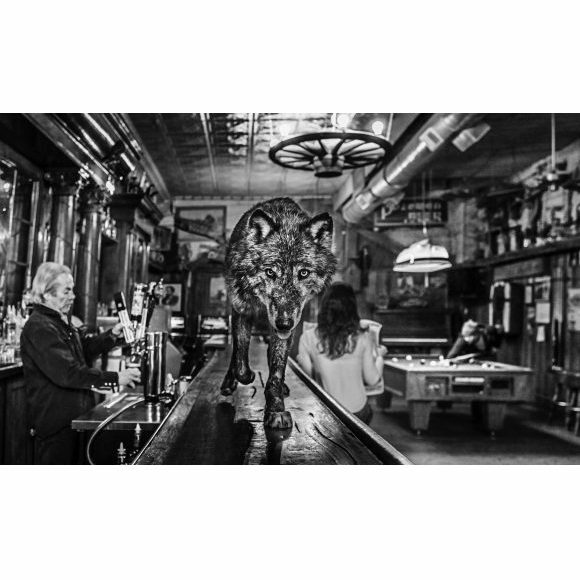 I asked the bar owner, Rosie – who had a “seen it all before” look about him, if he had a problem with us bringing a wolf into the deserted bar. Not a normal request perhaps, but he welcomed the idea, only asking what the wolf liked to drink. The central premise of the shot was that I wanted everyone to behave as if a wolf in a bar was the most normal occurrence in this part of the world – they should act with total indifference. The difficulty with the idea was that I had so little light to play with that my depth of focus would be measured in centimeters. The focus had to be the wolf’s eyes and everything else would just be a sketch that added context rather than detail. It was clear that the wolf had to be higher than me or at least at my eye level and this required using the bar itself as his cat walk. Things were now getting a little out of hand but Rosie – who is now a good friend – was loving the unexpected course of his morning. We placed some chicken fillets around my neck and the wolf moved with some sense of excitement towards me and my Nikon. The first effort didn’t work – the margin for error in my camera work was so limited, but after several attempts, I nailed it. Everyone played their part – Rosie behind the bar, the studious reader, the pool player and of course the chicken hungry wolf. A large print of this image now hangs proudly behind the bar and has become a little tourist attraction itself. Given the 2014 film release, this image simply had to be called “The Wolf of Main Street”. 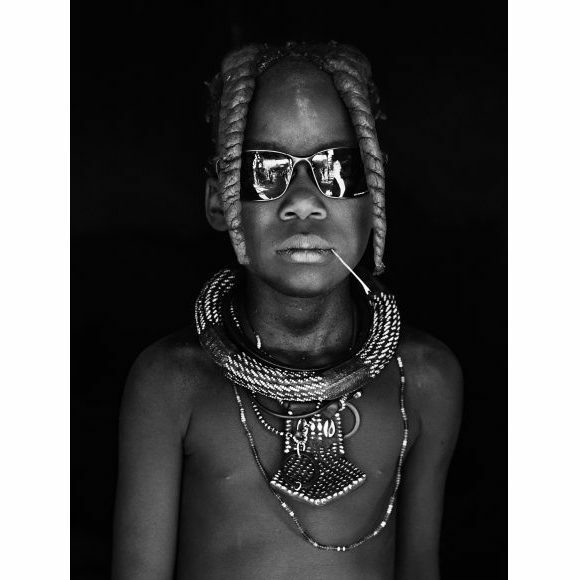 Live updates from David’s adventures in the field, be the first to see his image releases and never miss an upcoming exhibition.